True prayer is a sacred communion with the Spirit of God. The power of prayer appears lost these days. Questions float about, unchallenged within the modern church, regarding the true efficacy and worthiness of time spent on bended knee. Wrestling Prayer is a book intended to recharge the spiritual batteries of weary saints—it’s a message designed for heroic souls in need of a hearty spiritual meal and a fresh reminder of how truly powerful our God really is. If you are wanting to see the power of prayer return in your life and in your church—this book is a great place to start. 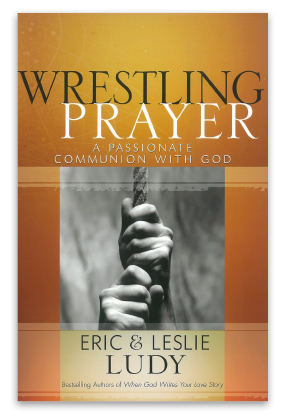 Wrestling Prayer is filled with practical ways to help you build a stronger prayer life. A lot of us feel defeated in our spiritual life. Many of us have tried praying without success, and our expectations of God are diminished as a result. For much of my Christian journey, this was how I felt in my prayer life—frustrated and discouraged. But over the past few years, I’ve learned some important things about prayer that have revolutionized my spiritual walk. Prayer can’t be baked down into a step-by-step recipe or cookie-cutter formula. But there are some Biblical principles that, when applied to your personal prayer life, can revolutionize your experience with God who hears and answers prayer. If you are feeling lackluster in your prayer life, don’t miss this challenging and inspiring book!